The Vantawng Falls (called Vantawng Khawhthla in Mizo language) is located 5 kilometres (3.1 mi) south of Thenzawl in Serchhip district in the Indian state of Mizoram. 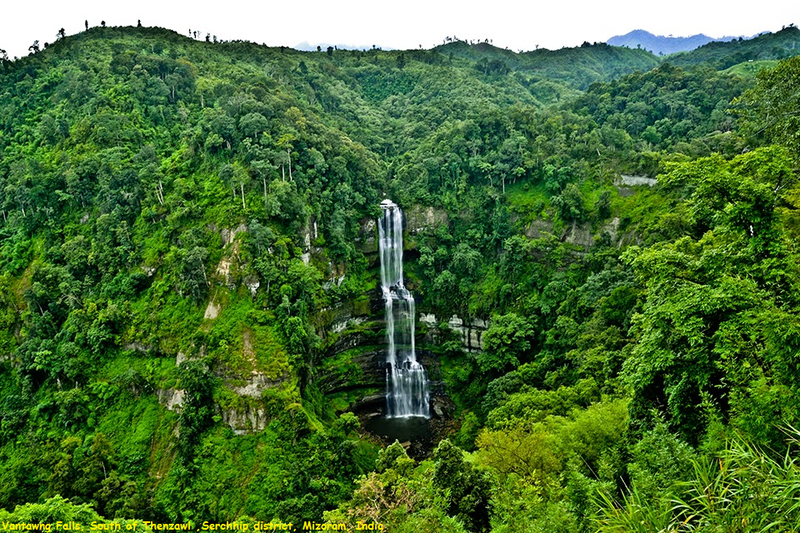 It is the highest uninterrupted waterfall in Mizoram. It is about 30 kilometres (19 mi) from Serchhip and 137 kilometres (85 mi) from Aizawl. People flock from all directions of the state to have a look at its might and beauty. The waterfall can only be viewed from distance due to thick forest covering around it. It is located in the Vanva River near Thenzawl which is known for its rampaging speed of flow. Vantawng Falls are testament to the amazing natural beauty that is hidden within the North-East.